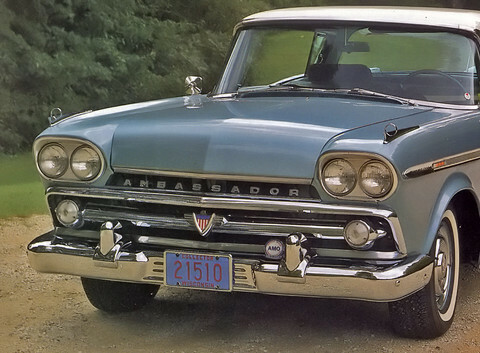 Of the almost 24,000 Ambassadors, AMC sold 1,477 four-door saloons in 1959. The monocoque body was equipped with a 5,359 cc V-8 engine rated at 274 bhp at 4,700 rpm. The car was supplied as standard with a Flash-O-Matic automatic gearbox but could be supplied with a three-speed manual box on request. 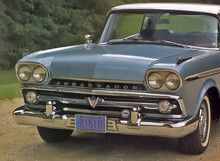 Enhusiasts were catered for with the Rambler Rebel which was powered by the Ambassador engine. In line with the practice of the Nash company, the bodies were designed by Pinanfarina.